Decorating should be doable! 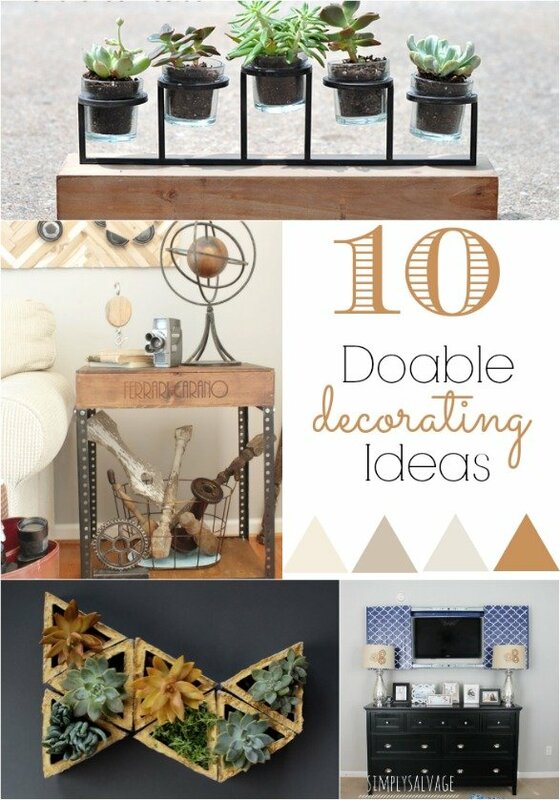 Below are 10 Doable Decorating Ideas (most with tutorials) shared by real women in real houses. Be inspired and go forth and decorate! Click the word "Next" to scroll through all of the doable decorating ideas. Oh thank you so much Beth for featuring my pot makeover! Hugs! Oh thank you for featuring my honey bear! thank you so much Beth ! A great honor to be featured here with all these amazing projects!